Today, I am pretty sure my dog number one ate a dead shrew and I saw myself that dog number 2 rolled in one… My dogs are so nice and decent sometimes…. 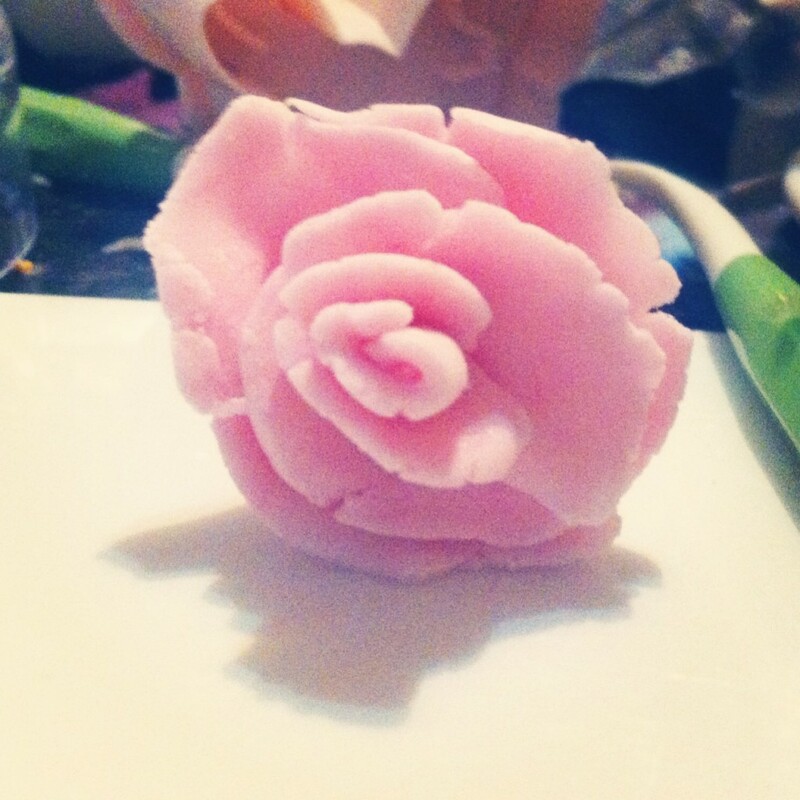 Tonight I have amused my self by making sugar decorations from sugarpaste. 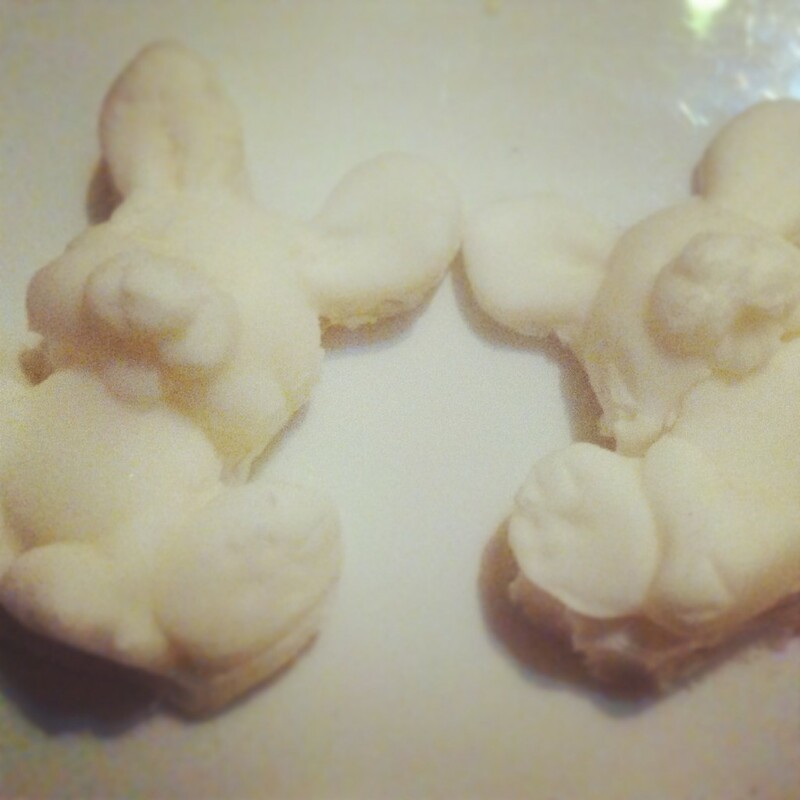 They will be fetured in my sugar eggs that I also made to day. 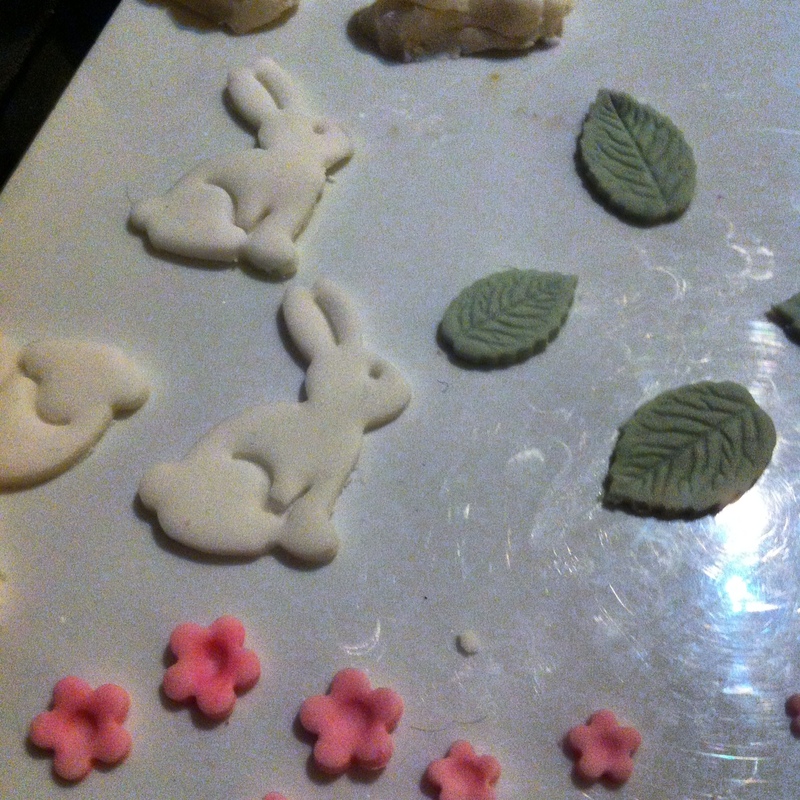 But they need to set over night, so I cannot decorate it until tomorrow.